I hope everyone had a wonderful Christmas. We are having a snow storm/blizzard today, so we missed having a "white Christmas" by one day! I've been reading and enjoying my days off... relaxing mainly. I hope you are all doing the same after the holidays. Since there is less than a week left to the year, I decided to go ahead and begin recapping 2010 and am beginning with a sub-genre that I love. 2010 was an interesting year for me when it comes to LGBT. I didn't read as many M/M Romance books as I did last year even though I have books galore in my TBR pile! However, that's not to say I didn't read LGBT, I did! Plenty. But, I seemed to have veered in a different direction and read more speculative fiction -- fantasy, horror -- mysteries and anthologies/collections. Of course I also read romance and erotica, how could I not, and those categories are also represented here. I love the fact that LGBT has it all! So, it shouldn't be a surprise that I've included all those categories on my list of favorite authors and works this year. 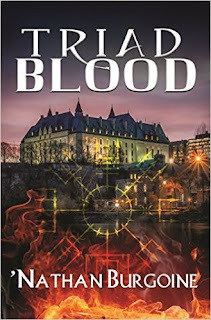 Sandra McDonald wrote one of my favorite speculative fiction books of 2010. 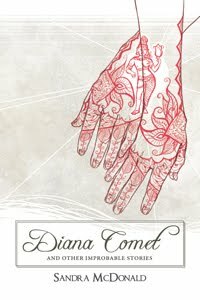 Diana Comet and Other Improbable Stories was a new 2010 release by Lethe Press Books. This is a book that stayed with me after I turned that last page. As a matter of fact I truly couldn't put it away and re-read it almost immediately. I loved the fantasy world, the unique characters, plus the circumstances that McDonald created for this collection of stories. As an interesting aside, and unrelated to LGBT, this year I also enjoyed the first book in McDonald's Sci-Fi/Fantasy series, The Outback Stars (another genre I love! ), so you know this is an author that I will definitely look for in the future. In the LGBT romance category there's no question that I have one favorite this year, and that's an anthology. 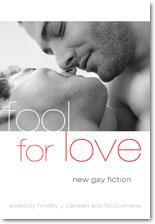 If you visit my blog regularly, you might have noticed the February LOVE blitz that occurred around here for Fool for Love: New Gay Fiction edited by Timothy Lambert and R.D. Cochrane. This book was a 2009 release by Cleis Press that I read in 2010. There are short stories by different authors with different styles of writing, but I can tell you this much, I loved it so much that I read it and re-read it for three full months, from January through March. And, I still go back to the book and read certain stories every so often. So it's tough to choose one author as a favorite here. I loved them ALL. Instead in this category, I'm choosing the editors for putting together an amazing group of writers and stories: Timothy J. Lambert and R.D. Cochrane. And who else would I mention in this category, but the Andrien English Mysteries by Josh Lanyon? Talk about addiction! I became so addicted to this series that I read and re-read these books over and over again during what I termed my Adrien English Obsessive Cycle. After that, well... 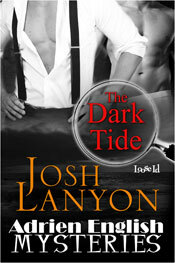 I've tried to read as many of Mr. Lanyon's books as possible, both TBR reads and new releases. And still, I can't say that I've been disappointed. My other absolute favorite book in this category is also by Mr. Lanyon: Somebody Killed His Editor: Holmes and Moriarity, Book 1. There are still more than a few books in that TBR, but you know that I'll get to them in 2011.
Who were your favorite LGBT authors of 2010? How about your favorite books? I'm noticing a lot of love for Lethe Press! I love it when everyone starts writing their best of the year posts, and you've piqued my interest with a few of these. And oh Adrien... I am very tempted to do a re-read. And Adrien? I know how you feel! I've become a compulsive Adrien re-reader... lol! Very nice choices! Love Lanyon, of course and will definitely be getting All She Wrote when it comes out - I adored the first book. Fool For Love - writing it down. Need to get it after a rec like that. Orannia, that's wonderful! I've read a bit of JCP, but must get to the PsyCop series, it just sounds soooo good. Love James Buchanan (she's up on my list too), and Harper Fox was also one of those authors I'll be following up on in the future. Enjoy your Summer! I'm in for a bit of a messy commute this morning. I am flattered that so many Lethe titles made your list. I am sure the authors would be thrilled to know (they may be too shy to thank you). And so many copies of VINTAGE!! Oh, my... again, I am grateful you liked my little novel so much to recommend it. I hope that in 2011, Lethe releases more titles you enjoy. Steve, thanks for stopping by. All those authors (you included), brought me many hours of reading enjoyment this year. It was my pleasure to read the books. I pretty much stuck to tried and true authors for e this year in m/m. Loved all the Lanyons I read, of course. Lori, I pretty much stuck to M/M Romance those first two years after I began reading the genre. :) But after a while, I needed to explore and loved getting out there and reading other sub-genres within LGBT. Now I still love my romances, plus the new sub-genres I'm exploring. :D I'm doing it sloowwwwly. This is where I recommend anthologies, if you want to have a taste of that writing style first: Fool for Love (Romance), Country Boys: Wild Gay Erotica includes some fantastic writers, (you can check it out in My Reviews page). :D Enjoy! 2010 YoTH and Re-Read Challenges - Completed! News and more December 2010 New Releases!